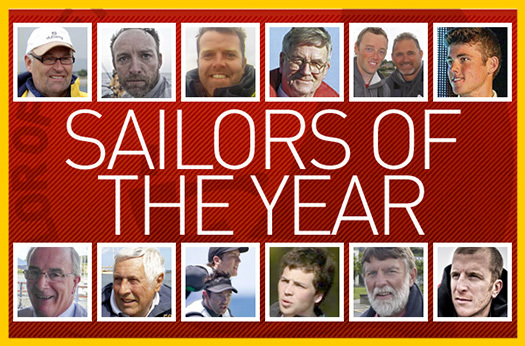 #sailoroftheyear – The voting is over, the judges have decided and today the 2014 ISA/Afloat.ie Sailor of the Year will be revealed at a Dublin city centre ceremony. Over 200 invitees are gathering this afternoon to celebrate some remarkable achievements from the 2014 sailing season. 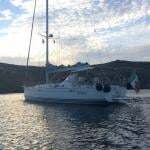 Afloat's ownership of this award – based on Sailor of the Month winners - has a long history, going back to 1996, and it successfully highlights achievement in every area of sailing. For example, one month there may be an exceptional voyage honoured, while the next month it might be a major international dinghy championship victory. The diversity is total. And just occasionally, to emphasise that we are a community, which functions afloat and ashore, the monthly award might go to someone who has given selflessly of their time for sailing administration. A full list of the 2014 achievements is HERE. The overall national award will be presented to the person who, in the judges' opinion, achieved the most notable results in, or made the most significant contribution to Irish sailing during 2014. 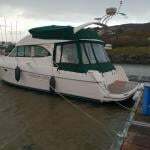 The boating public has had a chance to nominate their top three through an online poll, Afloat.ie got a vote too and the Sailor of the Year judges have decided the final winner. The winner will be announced this afternoon on Afloat.ie and WM Nixon will review today's awards celebration in his 'Sailing on Saturday' blog tomorrow morning.